The final environmental impact statement gives Canadian energy firm Veresen and Williams pipeline company a list of steps they must take to minimize seismic danger and effects on streams, wetlands and wildlife. 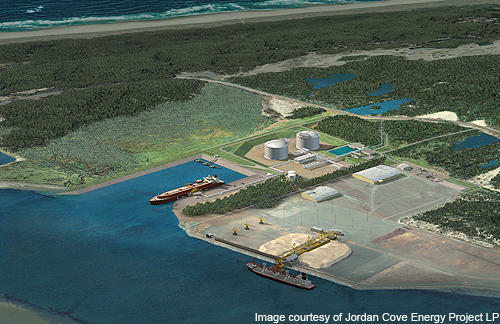 The LNG export terminal is proposed for Coos Bay. It would be the first on the West Coast. The 230-mile pipeline would connect the terminal to Rocky Mountain and Canadian gas supplies. Speaking to Jefferson Public Radio, pipeline company spokesman George Angerbauer said this is an important approval, but it’s not the only one. Opponents of the project range from environmentalists to land rights advocates. They rallied Wednesday afternoon at pipeline offices in Medford.